The biggest $25,000 tournament in poker history is down to just eight players, and two Platinum Pass winners have advanced through the field of 1,039 to reach the final of the PokerStars Players No-Limit Hold'em Championship. Marc Rivera and Ramon Colillas have about $300,000 in live cashes — nearly all by Rivera — yet they'll be playing for $5.1 million up top when play resumes on Thursday. That scenario is exactly what PokerStars envisioned when they rolled out this one-of-a-kind promotion. Rivera is in a particularly good position as he is nearly tied for the chip lead with 10,350,000 to Scott Baumstein's 10,725,000. "It feels great," said Rivera, who won his Platinum Pass in a tournament with a buy-in of about $600. "I'm proud [to represent the Platinum Pass winners]. But, I'm more proud to represent The Philippines." As for his Spanish Platinum Pass peer, Colillas won his by topping an live tour leaderboard in his native country. He bagged 8.3 million at the close of Day 4 to rank fifth in chips, though the bunched counts means he's only one pot from vaulting into first. Ramon Colillas turned a Platinum Pass into a final table appearance. 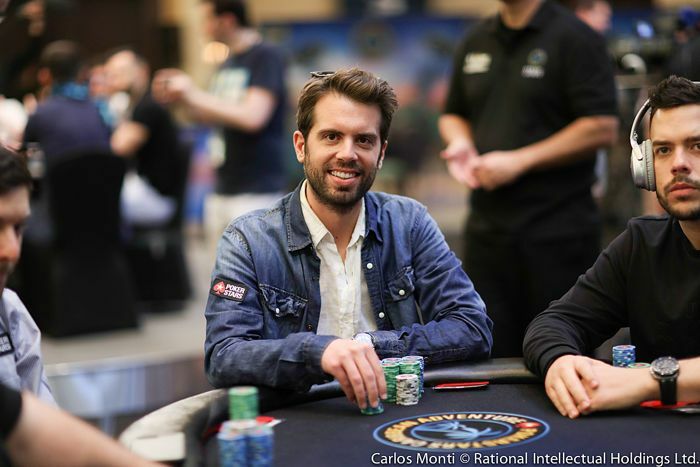 Joining them at the final table, in addition to Baumstein, will be Jason Koonce, Julien Martini, Farid Jattin, Talal Shakerchi and Marc Perrault. Baumstein began the day with the lead and ended it right back there, although the field drew much closer to him during the final few levels of play as he at one point had roughly double the stack of his nearest competitor. He was nearly cooked by Florian Duta in 18th place but managed to hit a three-outer after four-bet shoving ace-ten into jacks. 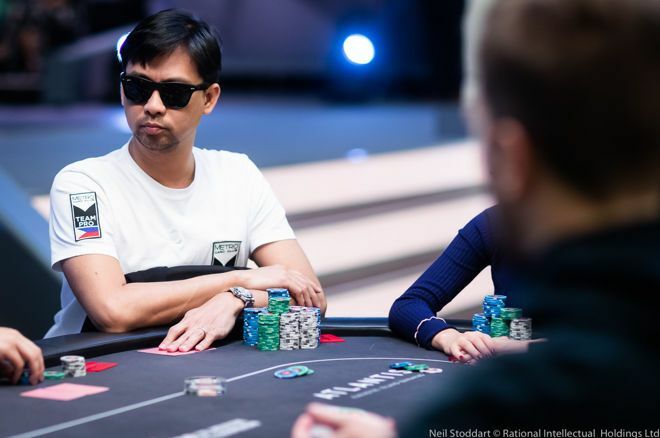 Duta was left with four big blinds but managed to run it back up somewhat and make the final table, where he would fall in ninth. "I'm proud [to represent the Platinum Pass winners]. But, I'm more proud to represent The Philippines." Unlike Baumstein, who had a sweat for his tournament life, Rivera said it was smooth sailing all throughout for him. "There was no point except for the last level where my chips went down," he said. Some other Platinum Pass winners were not so lucky, although they still got handsome paydays on Day 4. Jacqueline Burkhart, Atanas Pavlov, Filipe Oliveira, Adrian Echave, Joao Barbosa and Michael Roboniek all ran dry on chips. Notable direct buys joining them were Mikita Badziakouski, Griffin Benger, Kristen Bicknell and PCA superstar Tony Gregg. The final table begins at 1 pm local time on Thursday, with a live stream to start some time afterward. There remains about 40 minutes at 125,000/250,000/250,000. Rivera said he'll prepare by watching some videos, including the coverage of Day 4, and reviewing some hands. He and the rest of his competitors have a momentous day of poker ahead of them, and you can follow the action through the PokerStars.tv live stream or right here on PokerNews. Bicknell: "This is What I Play Poker For: These Moments"